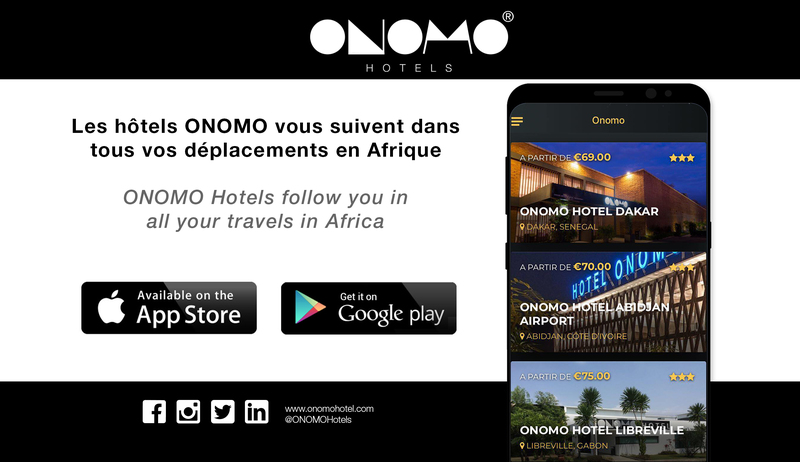 Located at 2 minutes away from the old international, Léopold Sédar Senghor, ONOMO Hotel Dakar has introduced a unique concept and offers 107 rooms, a free Wi-Fi access, a bar and restaurant open 24/7, a gym, two meeting rooms and a free airport shuttle. Located near the international airport in Abidjan, ONOMO Hotel Abidjan Airport offers 118 rooms and suites, a free Wi-Fi access, an outdoor swimming pool, a restaurant and bar open 24/7, and two meeting rooms for up to 25 attendees. A reference point for environmentally friendly architecture, ONOMO Hotel Libreville is located 5 minutes from the international airport. Situated near the conference centre in the riverside neighbourhood in Bamako, our hotel offers a large range of amenities such as free high-speed Wi-Fi, an outdoor swimming-pool, a restaurant and bar open 24/7 an a gym. Imbued with the african spirit, open to the world and full of the art of contemporary living, the ONOMO Hotel Lome offers comprehensive services as free Wi-Fi, restaurant open 24/7, 4 meeting rooms for up to 180 attendees, outdoor pool open the whole year around as well as bespoke rooms. ONOMO Hotel Cape Town - Inn On The Square is located in front of an African Art market and offers a contemporary stay for travellers seeking a central Cape Town hotel. Between African tradition and modernity, ONOMO Hotel Conakry is the 1st hotel-residence of the group, and offers comprehensive services which meet the expectations of local and international business guests : comfortable rooms and apartments, free Wi-Fi, 24/7 restaurant service, 4 meeting rooms, outdoor swimming pool. Between African tradition and modernity, ONOMO Hotel Durban is the second hotel of the group in South Africa, and offers comprehensive services which meet the expectations of local and international business guests : comfortable rooms and suites, free Wi-Fi, 24/7 restaurant service, 3 meeting rooms, outdoor swimming pool. In the heart of the administrative district, the ONOMO Hotel Rabat Medina is at the crossroads between the old Medina and the new city. ONOMO Hotel Rabat Terminus is an architectural marvel constructed in 1902. Century-old hotel known as the Terminus was the first hotel to be built in Rabat. The Signature Lux Hotel by ONOMO Waterfront, PREPARE TO BE ENTERTAINED ! Provide us with your email address so you can keep up to date with the latest ONOMO news.